The executive Vinicius Guardia Serrano assumed on the last 21st the general management of Cesbe Engenharia in place of Edmundo Talamini Filho. Talamini succession has been planned for almost 2 years and had the support of a specialized consultancy. Edmundo Talamini Filho has been CEO of Cesbe Engenharia since 2007 and now works exclusively on the Board of Directors after a 46 year career. According to Carlos Loyola, president of Cesbe group, the company begins a new phase in its 73 years of history, aiming to expand its business in the coming years. “We are a construction company recognized for technical excellence and commitment to ethics. We have a success story, but by no means are we accommodated, on the contrary, we are looking to the future. The new management will assume the challenge of strengthening our competitive capacity and also the bases for the perpetuation of the company”, says Loyola. According to Carlos, the hiring of the executive Vinicius Serrano will help Cesbe to renew its strategies and models of work, something fundamental in a world in constant transformation. ”Vinicius will bring the world’s best management practices, as he has strong experience, acquired as an executive of national and multinational companies from different areas. He will have the role of questioning our culture, our paradigms, but always looking out for the integrity of our values. That will undoubtedly bring about a significant evolution in our way of doing things”, says Loyola. Serrano will have as main challenges, the search for sustainable growth, improvement in operational efficiency, team engagement, implementation of best management practices, and identification of new market niches that contribute to the expansion of the company in Brazil and in Latin America. “I welcome the beautiful challenge of leading this transformation in a prestigious construction company like Cesbe and continue this wonderful course. We will work hard so that Cesbe is recognized not only as the best construction company but also as the best company in the sector to work for. We will invest more and more in the improvement of teams and also in attracting new talents, but always valuing meritocracy. Our goal is to develop high-performance teams capable of implementing solutions with agility and in an innovative way because this is the only way for the company to grow in an extremely competitive market’, says Vinicius. Vinicius Guardia Serrano is 42 years old and had important passages for large national and multinational companies in the oil and gas, aerospace and automotive areas. The executive has extensive experience in developing new business, operations, supplies, project management, contracts, customer support and after market, production, quality and international trading. Serrano holds a MSc degree in Logistics and Supply Chain from Cranfield University – Cranfield School of Management. 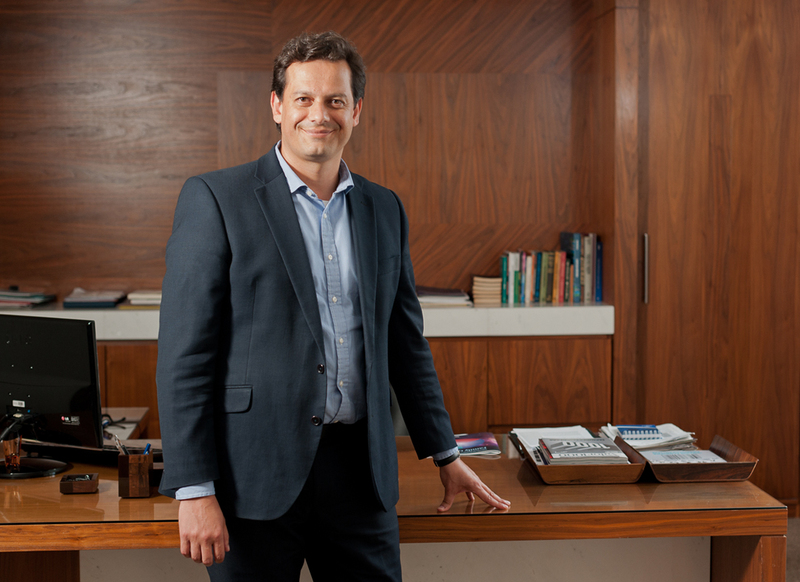 He also holds a graduate study degree in supply chain strategy & management from the Massachusetts Institute of Technology – Sloan School of Management, an MBA from USP-FIA and a DESS from the Pierre Mendes University in Grenoble – in international business, as well as certifications in Lean-Six Sigma. Prior to accepting the invitation to Cesbe’s management, Vinicius was Head of Supply Chain Brazil at the Norwegian multinational Aker Solutions. He also managed Embraer structures and after-sales supply area for 4 years and for another 4 years, the supply area of GNK Aerospace do Brasil.